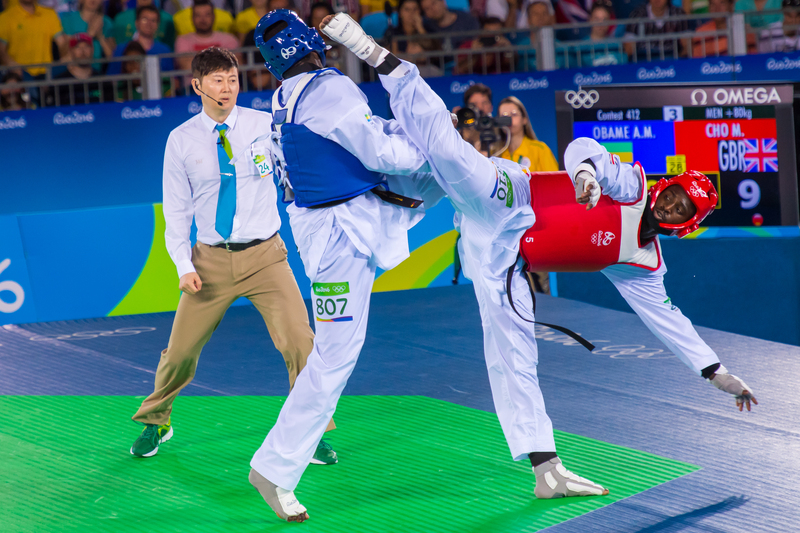 Olympian Mahama Cho returns to the mat for the first time since his Rio 2016 agony as part of Great Britain’s six-strong squad at the World Taekwondo Federation World Grand Prix finals in Azerbaijan this weekend. The ’Stockwell Slayer’ was the only taekwondo member of Team GB to miss out on a podium placing. And he’s looking for redemption in Baku as part of a formidable GB team. “I feel fantastic and really looking forward to it,” says heavyweight Cho beaten by Azerbaijani favourite, Radik Isaev, in the semi-finals of the +80kg division. “It’s been a while since I was last on the mat but I am going into the competition with a strong mind set, preparing the best I can and focusing only on myself. “Always when you come from a defeat you want to correct that,” agreed Cho of his Games near miss. “I know I was close but I know I can do much better. “I don’t think in that manner,” he insists “I don’t fear my opponents because I have fought them before. 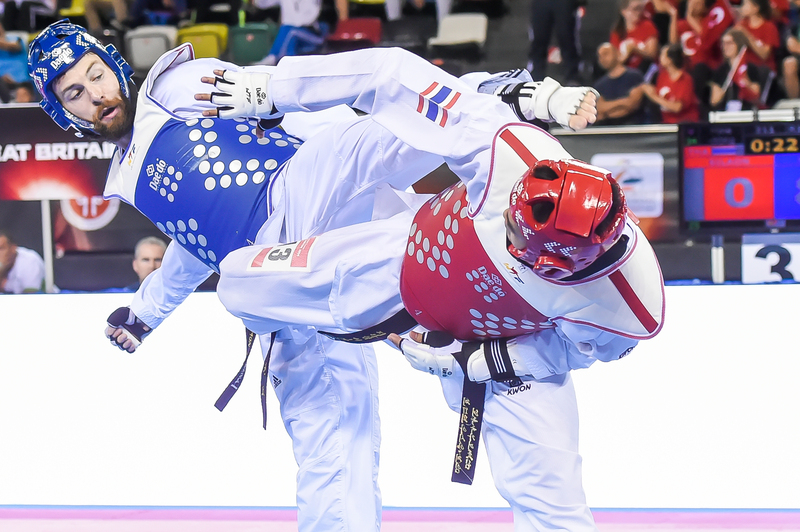 The climax to the taekwondo year sees 128 top ranked athletes, fighting in four female and four male weight categories. Double Olympic champion Jade Jones and World champion plus Rio bronze medallist, Bianca Walkden, also enter a tournament for the first time since the Games. Jones, who won her European Games crown in Baku last year, is reigning overall Grand Prix champion and world number one. Earlier this week the 23-year-old was voted BBC Cymru Wales Sports Personality of the Year. Scot Damon Sansum, whose hopes of a first Olympics were dashed by Lutalo Muhammad’s selection, takes the place of the Rio silver medallist in the -80kg division. “I have put in a lot of good training,” says the 2015 World Championship silver medallist. “Now, it will be great to take the car out for a drive again,” he laughed. “I can’t wait to compete against the top 16 in the world again. I am really excited to fight and to give a good account of myself because I have put in a lot of hours and made a lot of sacrifices. Britain’s squad is completed by 2015 World Championship bronze medallist, Rachelle Booth, and Charlie Maddock, the first British female to win European Games gold in 2015. All semi-final and final matches will be streamed live on the World Taekwondo Federation website. Live scores will also be posted on the official GB Taekwondo Twitter page throughout the event and draw sheets are also available to view here.